Pure Move 400D review | What Hi-Fi? It seems as though there are two ways to approach radio design these days: go all-out and produce an all-singing, all-dancing all-in-one such as the Ruark Audio R1 MkII or strip it right back to basics. 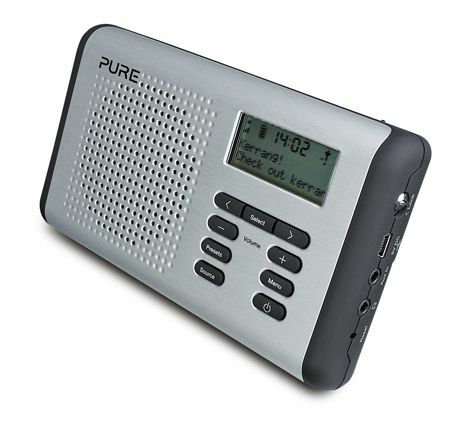 That’s what Pure has done with the Move 400D – an FM/DAB radio that’s just that. Nothing more, nothing less. It’s designed to be portable, and to that end it is chargeable via USB, which gives around 60 hours of juice. A proper battery compartment would’ve been nice as well, though – USB sockets aren’t always available when you’re on the go or camping in the south of France. Pure Move 400D: UsabilityIt’s easy to use, though, with the buttons not requiring you to have fingers like knitting needles (useful, as you need them to flip through the 20 station presets), a clear display offering plenty of information, and a flip-out stand to keep everything stable. In use, the Move sounds rather like it looks: a bit basic. That isn’t necessarily a bad thing, though, as it serves up a clear, coherent sound. The downside is that it’s seriously lacking in punch. That’s a shame, because the sound on offer is fast and fairly detailed – a bit of low-frequency push behind it would’ve brought a fifth star in our rating.